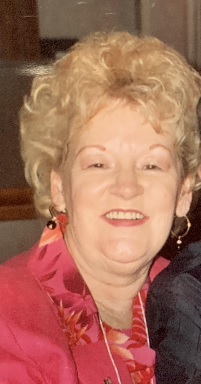 Claire Patricia (Hanley) Kenney, 85, went to be with the Lord and her beloved husband Thomas, on January 27, 2019 surrounded by her loving family. Born in Providence, she was a daughter of the late Anthony and Sarah (Ford) Hanley. Claire was the devoted and loving wife to Thomas, who predeceased her in 2006. Together they raised a family of six children, Thomas Jr., Kevin, Timothy, Terrence, Daniel Kenney and Julie DeFusco, she is also survived by her sisters, Helen Simmons, Marion Taylor, sixteen grandchildren, eight great grandchildren and numerous nieces & nephews. Claire’s funeral will be held on Thursday, at 8:30 am from the Russell J. Boyle & Son Funeral Home, 142 Centerville Road (Rt. 117) Warwick. A Mass of Christian Burial will be celebrated at 10 am in St. Gregory The Great Church, 360 Cowesett Rd., Warwick. Burial will follow in St. Francis Cemetery, Pawtucket. Visiting hours will be held on Wednesday from 4 to 7 pm. In lieu of flowers, donations in Claire’s memory to: Alliance for Better Long Term Care alliancebltc.com would be greatly appreciated.